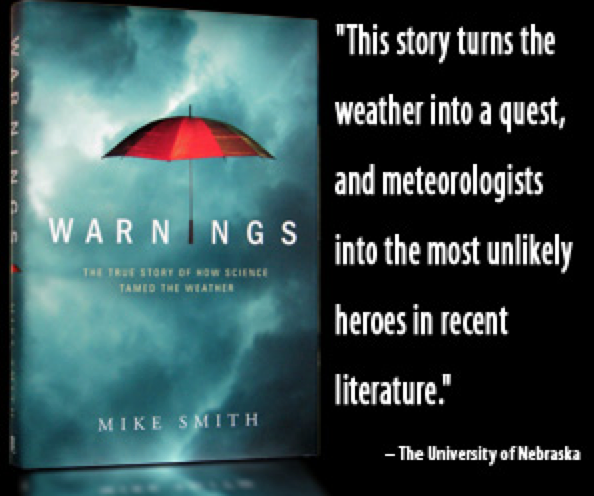 ....on this blog, you'd likely enjoy my 5-Star rated book about how meteorologists create the warnings that save so many lives*. It might make a great use of a gift card from Amazon or Barnes & Noble. *You may recall the best-selling book, The Children's Blizzard which was the story of an unwarned blizzard that took the lives of 500, mostly schoolchildren. Given the Christmas travel period, the death toll from the current blizzard would likely have been in the hundreds. It is the warning system that makes the difference. Yes, meteorologists are unsung heroes who work on Christmas Day and every day.